Last month (December 2013), Katie Couric's popular daytime television show aired an episode on "The HPV Controversy." Both sides of the controversy were represented, but the show was widely criticized in the mainstream media for simply suggesting there was a controversy. Vaccine damaged families were interviewed (watch the interviews here), but according to the medical community, Gardasil and the HPV vaccine are completely safe. 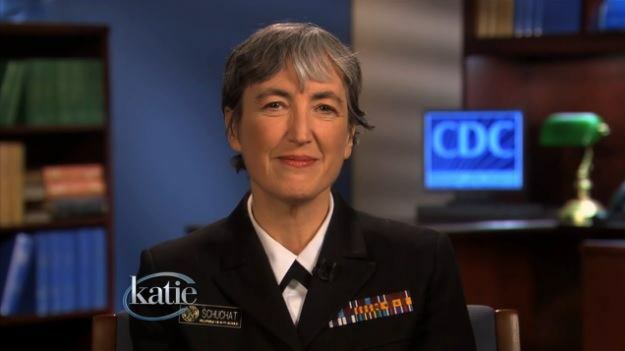 So Katie Couric issued what was basically an apology and then aired a follow-up show which featured the one-sided standard government position, with an interview of Dr. Anne Schuchat, Assistant Surgeon General and Director of the CDC’s National Center for Immunization and Respiratory Diseases. Dressed in military attire, the whole interview was basically an appeal to authority: Trust us, we are the authorities, and we know what's best. Norma Erickson is the director of SaneVax, the leading website on the Internet highlighting the dangers of the HPV vaccine. She was present with Katie Couric at the first show airing both sides, but no one representing the victims of the vaccine were present for the airing of the second show. She offers her rebuttal below, giving facts and hard science in reply to the spin piece by the government doctor, who is obviously trying to do "damage control," which was aired on the most recent Couric show. As Norma shares the data and science below, in response to the government doctor's comment "we aren’t finding any concerning problems" regarding Gardasil, also keep in mind the following facts: The U.S. government holds patents on Gardasil and also earns royalties from the sale of the vaccine. 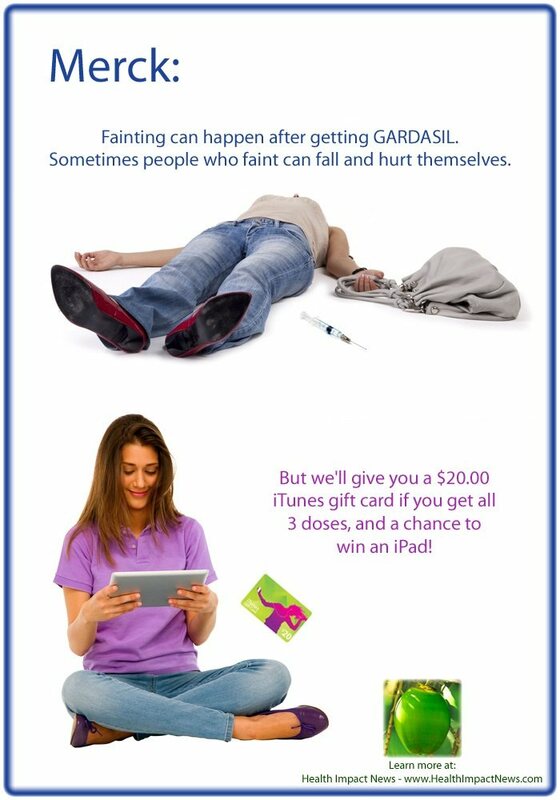 People injured or killed by the Gardasil vaccine cannot sue Merck, as all vaccine manufacturers have legal immunity from lawsuits in the U.S. More than 10 young women have recently sued Sanofi, the distributor of Gardasil in France, for damages due to the vaccine, including lupus, Guillain-Barré, ADEM, idiopathic hypersomnia, and multiple sclerosis. 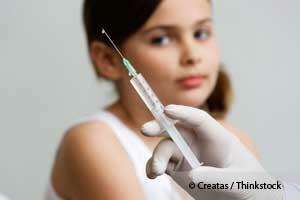 Japan halted recommendations for the HPV vaccine and has begun a full scale probe over its safety, due to the large amount of serious adverse reactions reported. 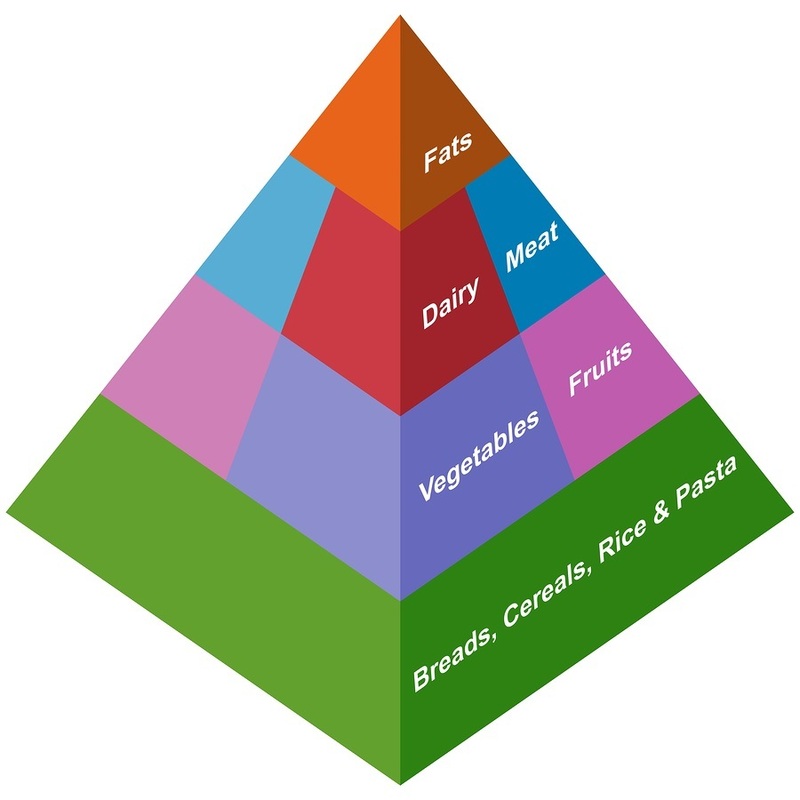 Four decades of nutrition research funded by the Centers for Disease Control and Prevention (CDC) may be invalid because the method used to collect the data was seriously flawed, according to a new study by the Arnold School of Public Health at the University of South Carolina. The study, led by Arnold School exercise scientist and epidemiologist Edward Archer, has demonstrated significant limitations in the measurement protocols used in the National Health and Nutrition Examination Survey (NHANES). The findings, published in PLOS ONE (The Public Library of Science), reveal that a majority of the nutrition data collected by the NHANES are not "physiologically credible," Archer said. "The nation's major surveillance tool for studying the relationships between nutrition and health is not valid. It is time to stop spending tens of millions of health research dollars collecting invalid data and find more accurate measures," he said. Agricultural usage accounts for about 80 percent of all antibiotic use in the US, so it's a MAJOR source of human antibiotic consumption. 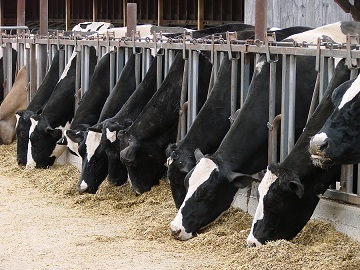 According to a new CDC report, antibiotics used in livestock plays a role in antibiotic resistance and “should be phased out”; 22 percent of antibiotic-resistant illness in humans is in fact linked to food. MRSA infection has been rapidly increasing among people outside hospital settings as well. Increasing evidence points to factory-scale hog facilities as a source. Previous research suggests you have a 50/50 chance of buying meat tainted with drug-resistant bacteria when you buy meat from your local grocery store. Excessive exposure to antibiotics—which includes regularly eating antibiotic-laced CAFO meats—also takes a heavy toll on your gastrointestinal health. This in turn can predispose you to virtually any disease. The CDC commissioned the IOM to do a study on salt. The results are in and clear: The evidence shows that limiting yourself to the amount of salt the CDC recommends will harm your health. 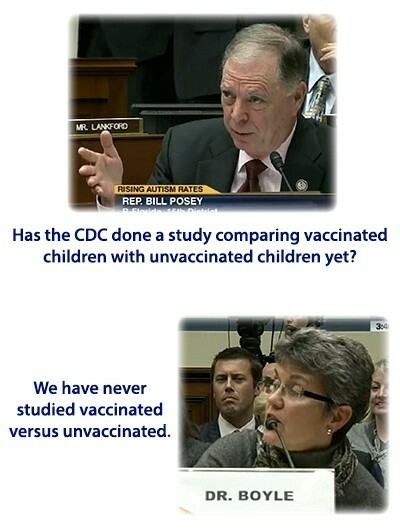 So what does the CDC do about it? Nothing, of course! You truly must ask why this is? 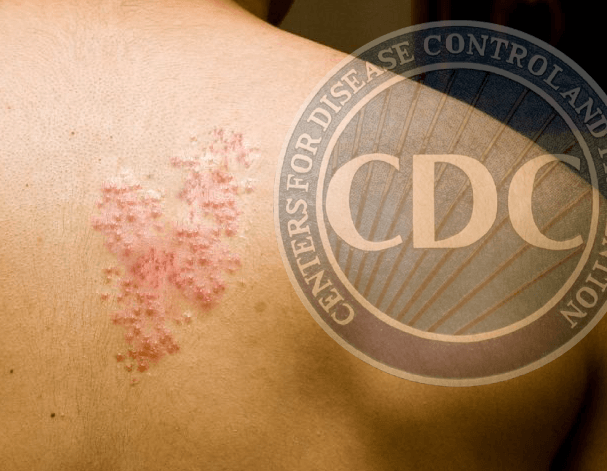 Is the CDC’s goal to destroy American’s health? Their own commissioned study has found that intake of 1,500-2,300 mg of sodium per day is harmful to precisely this group of people. 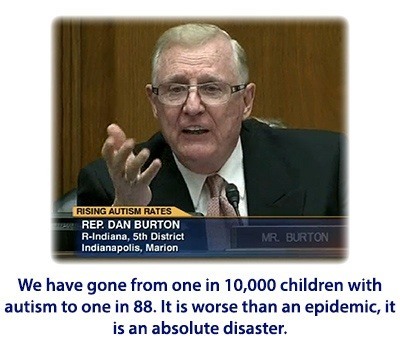 To be frank, the only explanation must be that the CDC is little more than a front for Big Pharma. As long as they can continue to point the finger of blame at people themselves, the more they can justify pushing drugs on them. As long as the high blood pressure hysteria can be maintained by blaming salt, the easier it is to get people to take their blood pressure and cholesterol drugs.